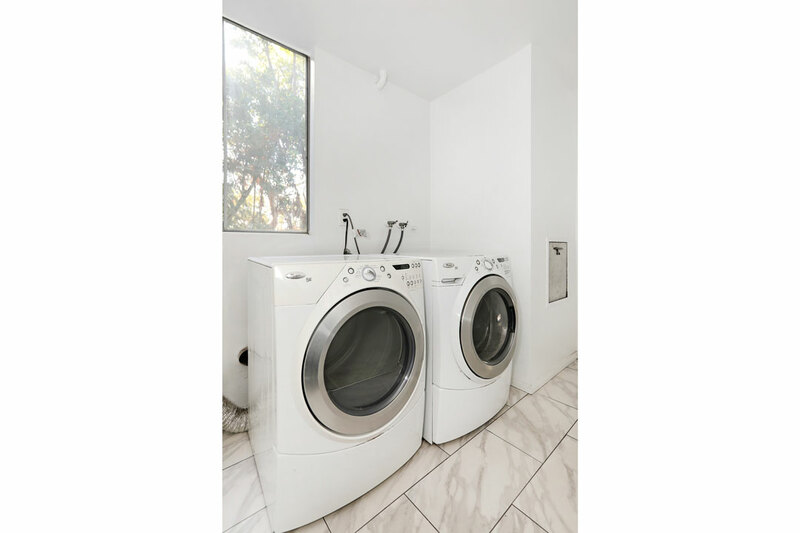 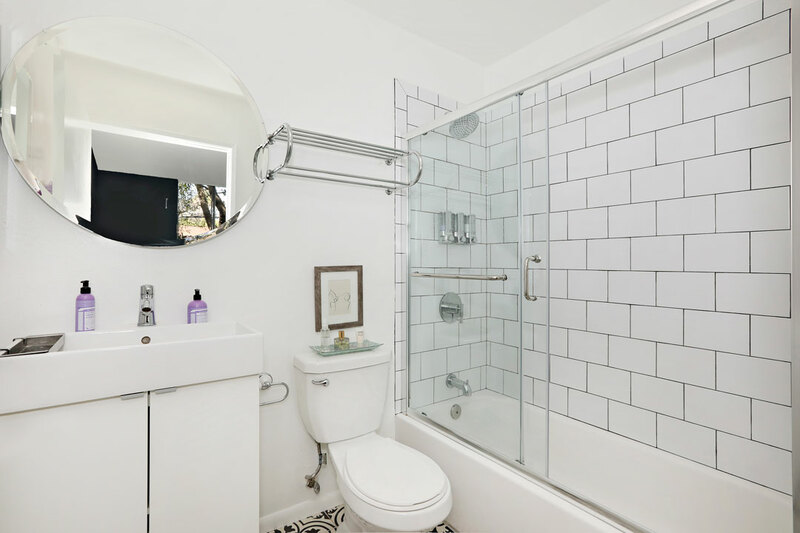 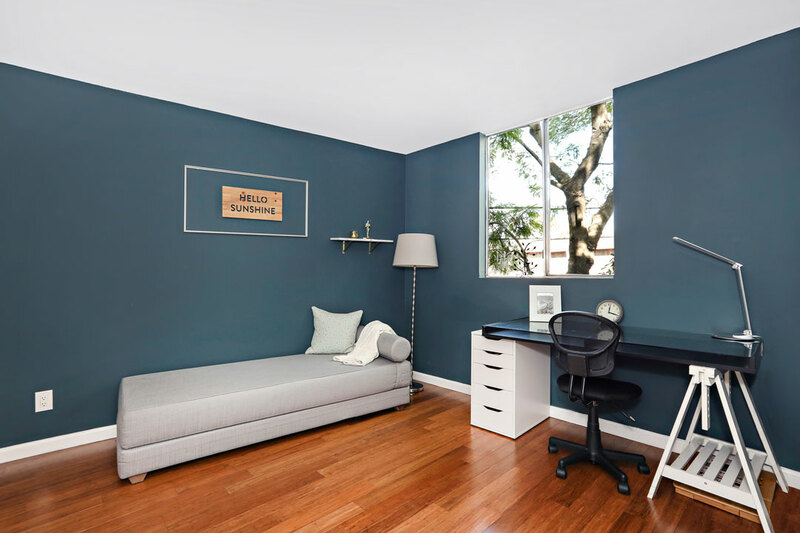 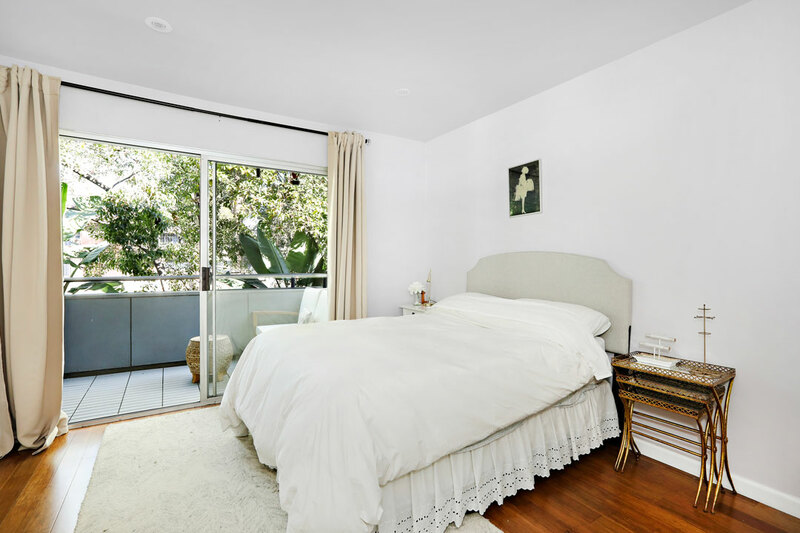 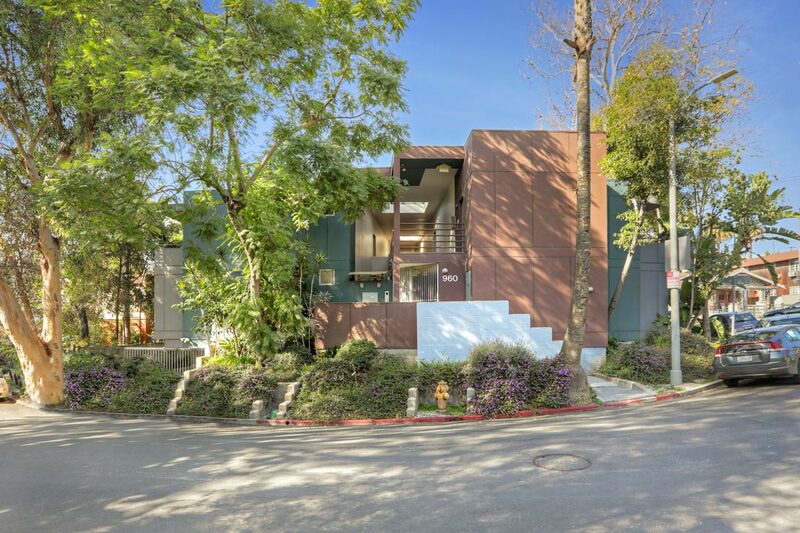 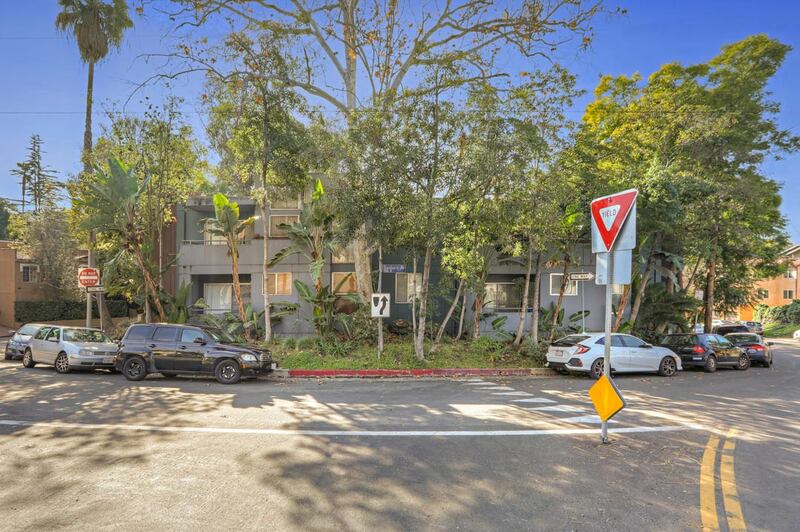 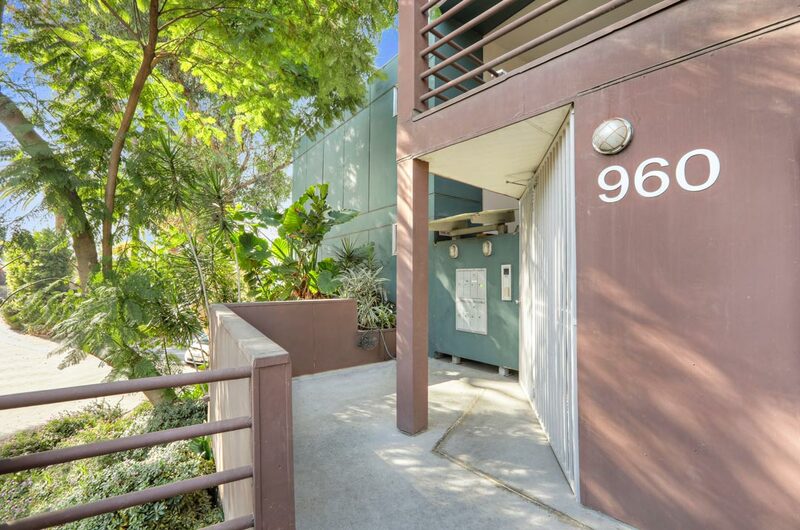 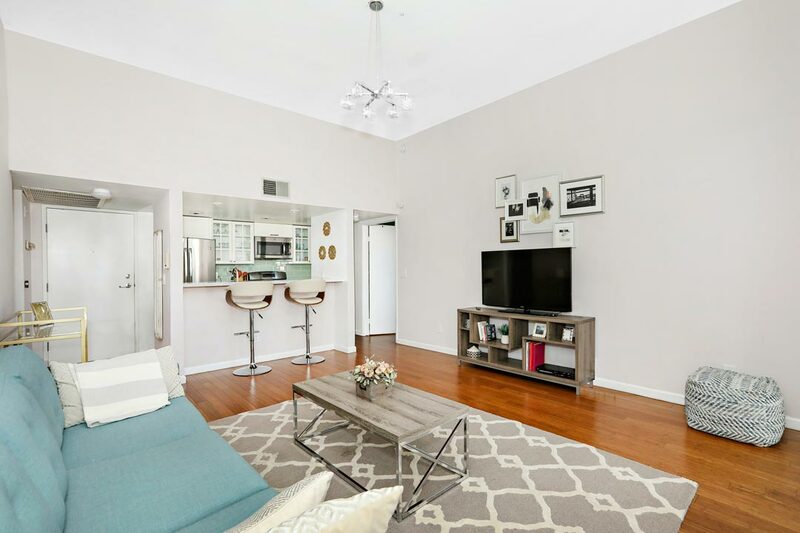 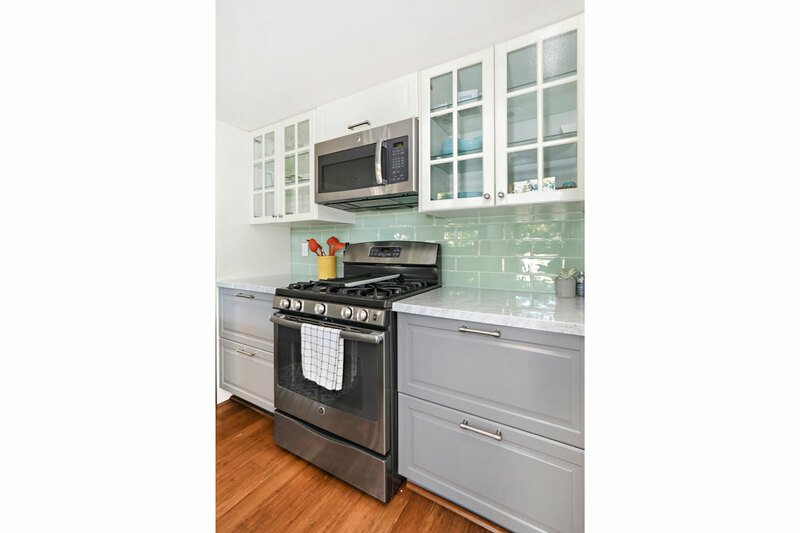 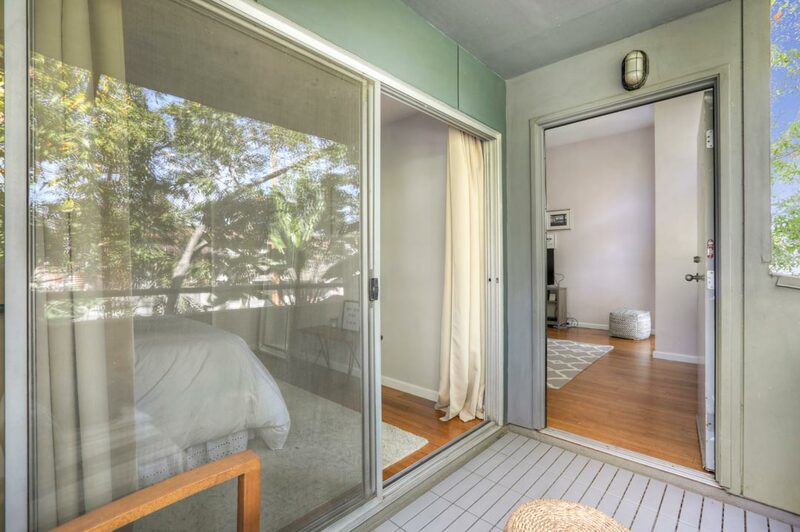 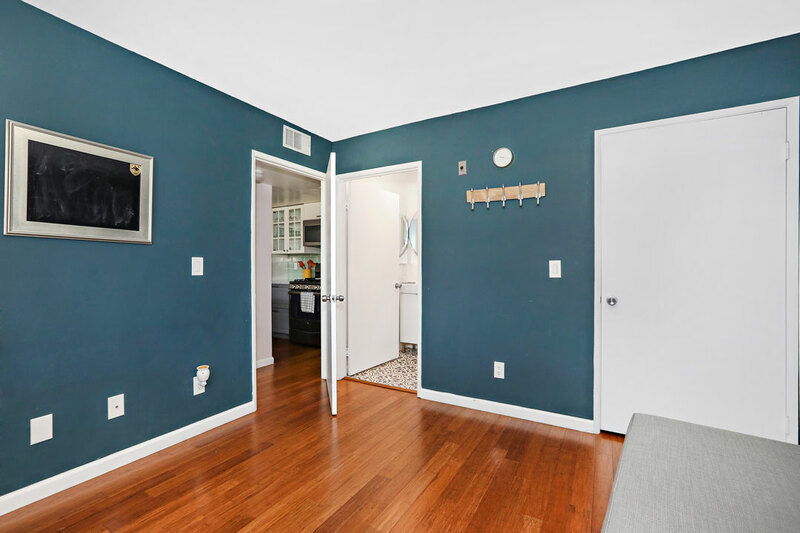 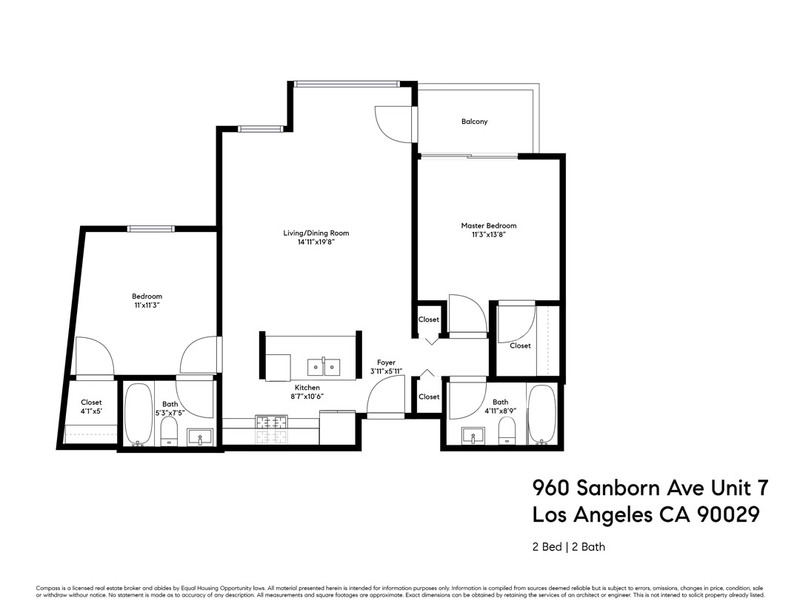 This bright, stylish and well-priced condominium home places you in a gated community in prime Silver Lake, very near Sunset Junction. 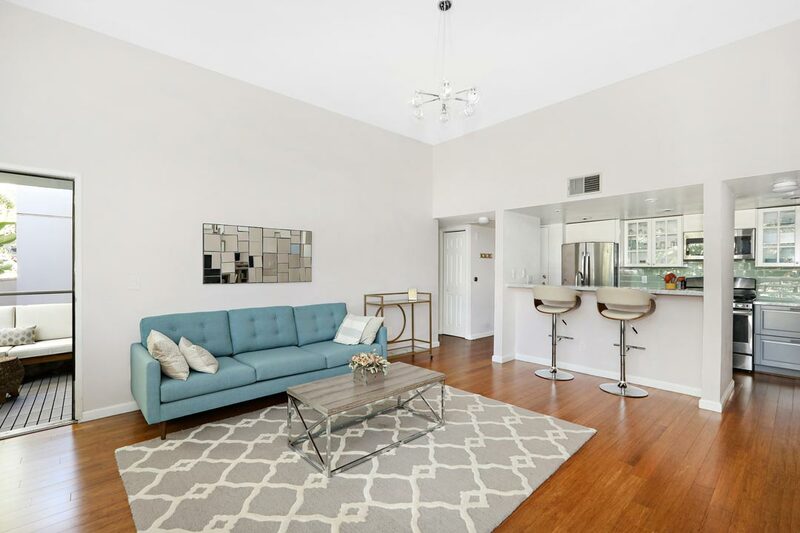 The updated unit features a spacious living room with high ceilings and easy flow to a balcony, your sweet spot for morning coffee. 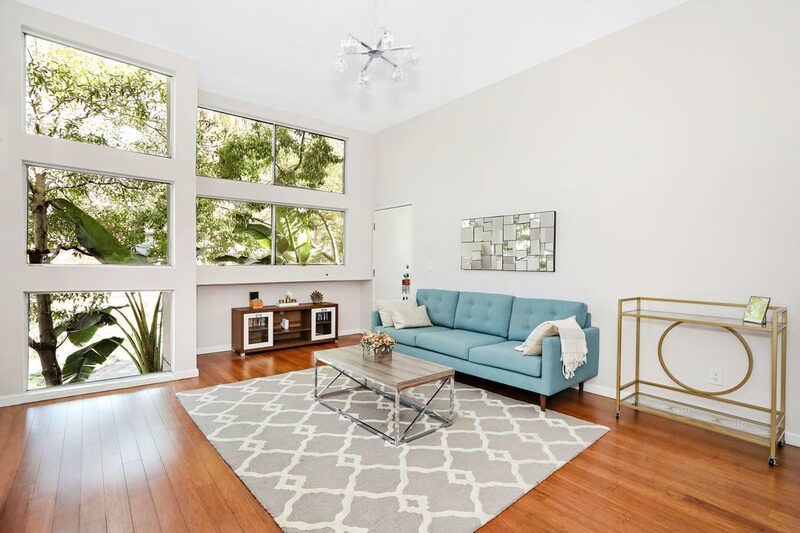 Oversized windows bring in ample sunlight filtered through lush flora outside. 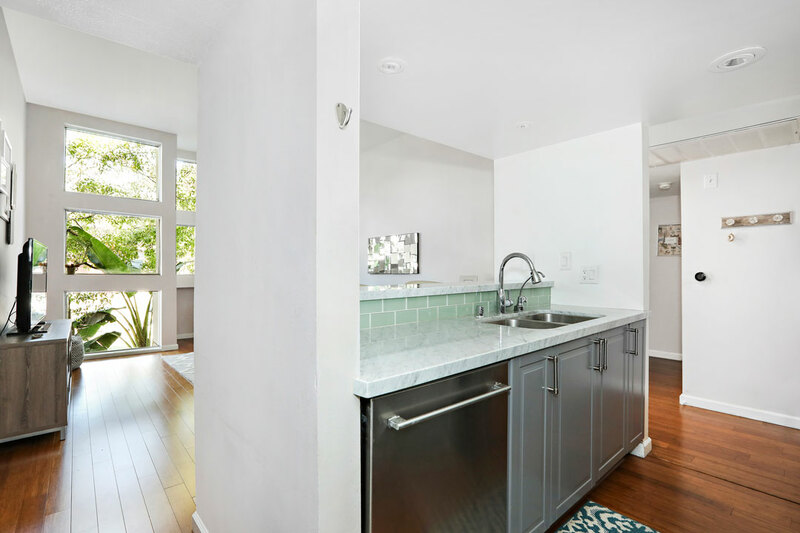 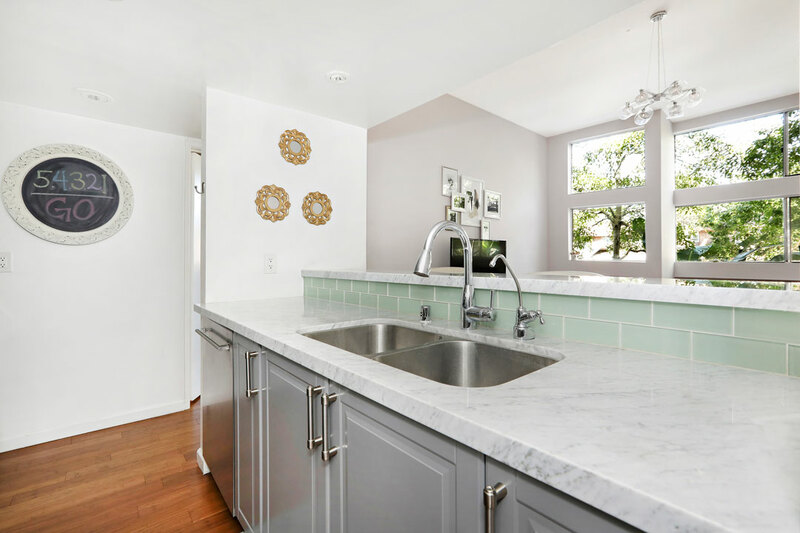 In the sunlit kitchen find marble countertops, a full-height tile backsplash and a gleaming suite of stainless appliances. 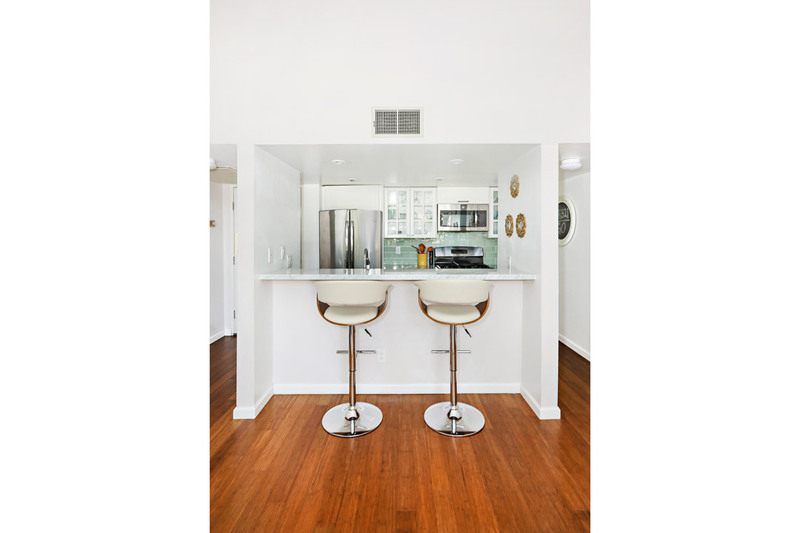 Wood flooring runs throughout. 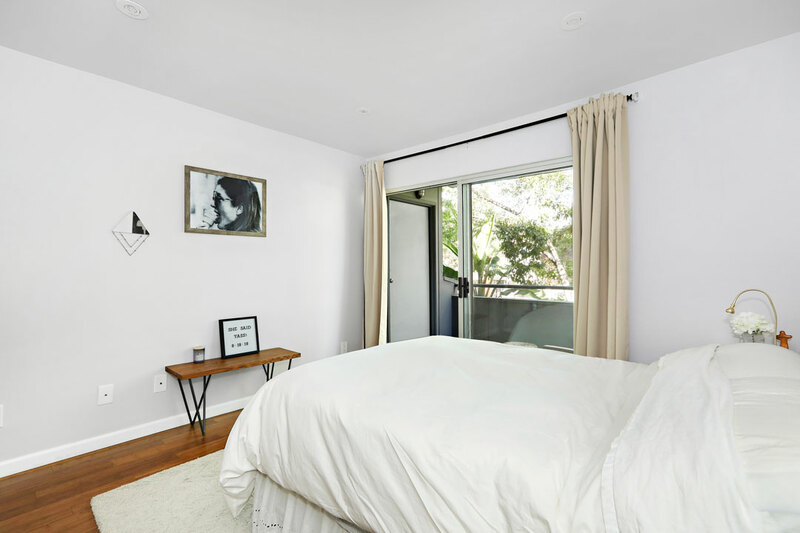 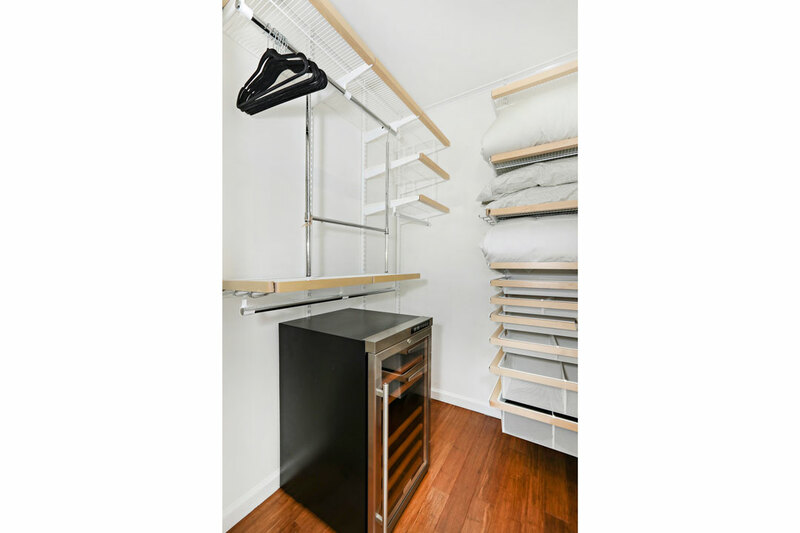 Two bedrooms include the Master with a walk-in closet and balcony access; the second bedroom is perfect for your office or guest space. 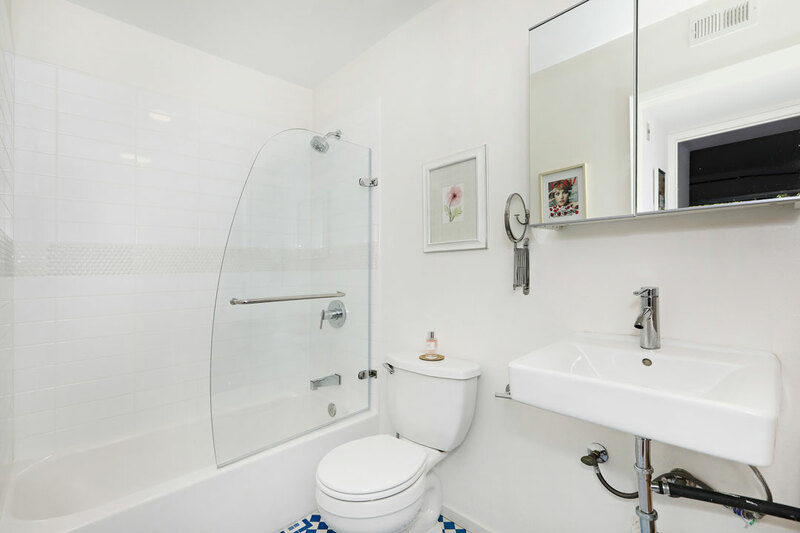 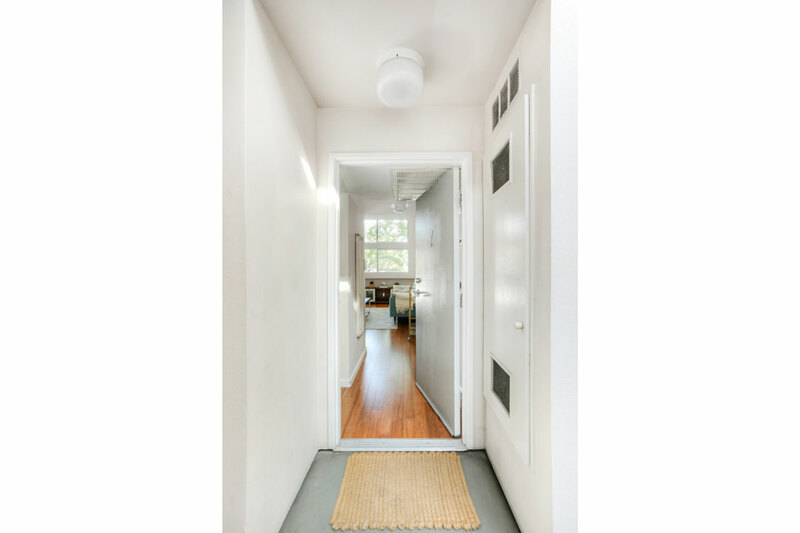 Conveniences include central heat+air, community laundry and assigned parking. 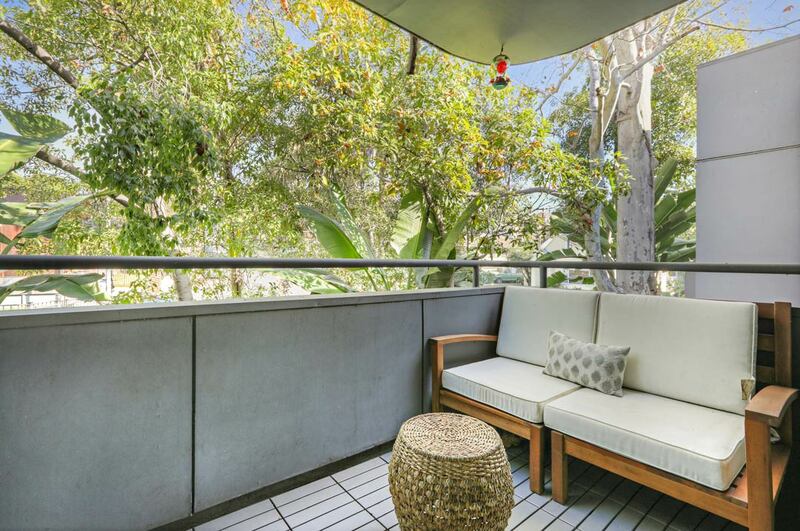 The tranquil grounds feature wide hallways, skylights and an abundance of potted plants. 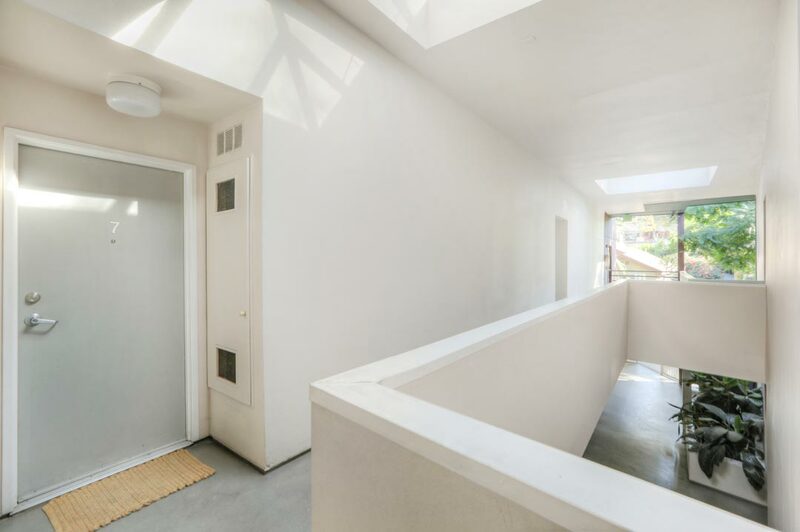 Sunset Junction is right up the street with trendy shopping and dining options including Mh Zh, Intelligentsia, Pine & Crane, Cafe Stella, Black Cat, The Silver Lake Farmers Market and more.